We are still a day away from the official beginning of CES, at least for media, but that won’t ever stop the internet from digging up whatever it can find and sharing it. 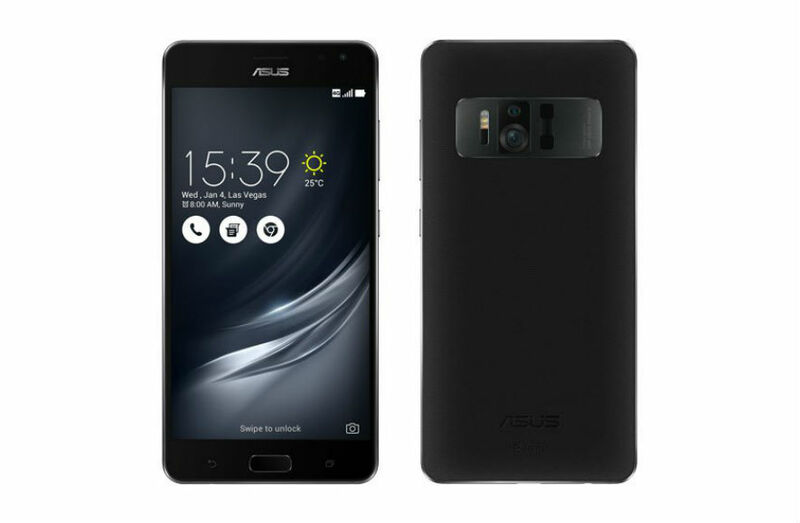 Detailed by Evan Blass (@evleaks) on Twitter, ASUS will introduce the ZenFone AR smartphone this week, which will be the second Google Tango device available on the market. In the tweet, no specs for the unannounced device were provided, but we do get a very clean look at the front and back of the ZenFone AR. Provided the phone is built to run Google’s Tango AR platform, the backside features what looks like dual cameras, plus an assortment of sensors. In a reply sent to the original tweet, another user (@FGevas) shows off a screen capture of a not-yet-public press release from Qualcomm that talks a bit about the processor inside of the device (cached version for anyone interested). According to this screenshot, the ZenFone AR will come equipped with a Snapdragon 821 processor, making it the first Snapdragon 821-powered AR machine. The only other Tango device on the market is the Lenovo-made PHAB2 Pro, which comes with a Snapdragon 652. On top of that information, the press release also states quite clearly that the ZenFone AR is also Google Daydream ready, making it quite the AR and VR machine. Once ASUS makes this news official, we will be sure to share any and all details. Are you interested in the potential uses of Google Tango or do you see it as gimmicky? CES 2017: What's In Our Bags?